Over the last few years there has been a serious realignment in the pensions and life insurance industry with the revelation that government actuaries appear to have miscalculated the average lifespan of the UK population... read more..
Do you have your general insurance plans with the same provider? Even though many of us have been taught to shop around for insurance and personal finance needs there is a growing trend towards taking out various insurance policies with the same provider... read more..
Do you have the best utility plans for your situation? The cost of gas, electric and water is something which continues to dominate the headlines and is likely do so for some time to come... read more..
Are you making the most of the credit card offers available online? While the UK banking sector has come in for severe criticism of late, the credit card industry has escaped fairly unscathed even though base rates have fallen and credit card interest rates have remained stable and even risen in some cases... read more..
What are you paying for your broadband service? The UK broadband sector is amongst the most competitive in the world and one which is set to grow well into the future... read more.. Whether we like it or not the vast majority of the UK population will at some time or another be forced to take out personal loans... read more..
As the recession continues to embrace more and more of the UK population we are seeing more instances of financial distress than ever before... read more..
Are you claiming all of the benefits that you are entitled to? Since Labour came into power there has been significant increase in the number of benefits available for a variety of situations and a variety of groups of the population... read more..
Have you considered remortgaging your home? For the vast majority of the UK population the acquisition of a home will be the largest transaction ever in their lifetime but surprisingly it is one in which many people are less active than they could be... read more..
Is debt consolidation really an option? 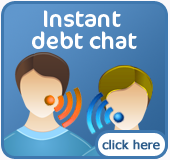 As the debt built up by the UK population continues to increase, even in these difficult times, more people are struggling to pay off various loans and credit cards while trying to make ends meet and cover the bills at home... read more..
Do you really need a monthly contract mobile phone? Over recent years the mobile phone has become more of a fashion accessory for many people than a real requirement. However, while there is no doubt that mobile phones are useful, ... read more..
Book early to save money in many areas of the economy! While the vast majority of us will probably know what we are doing this time next week, possibly the week after and in some cases for the rest of the month, how many of us actually plan ahead with regards to travel arrangements and accommodation?... read more..
Stop smoking and save £££’s a year! While there are many "no-brainers" in the area of saving money few are as obvious as stopping smoking. It is estimated that the average UK smoker spends upwards of £2000 a year on a product which is widely known to be detrimental to their health... read more..
Could a simple financial review save you thousands of pounds? 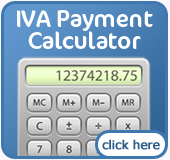 While historically the financial services industry may not have had the best reputation in the world there have been significant changes over recent times which many people may not be aware of... read more..
Do you really need to use your ISA allowance? Even though Individual Savings Accounts (ISAs) have been with us for some time many people have simply ignored them with many holding a general opinion they are for the more wealthy of society... read more..
Have you considered reducing your tax bill? While this may seem like a rather strange question to many people, how many of us actually sit down and study our tax returns with the intention of reducing the amount of tax we pay each year?.. read more..
Can I reclaim my payment protection premiums and bank charges? The last two or three years has seen a major push from consumer groups with regards to excessive bank charges and payment protection schemes which in many situations have proved worthless... read more..
Have you considered a prepaid credit card? As much as many of us would like to bin our credit cards they do serve a purpose when looking to acquire goods over the phone, online or services in emergency situations... read more..
As a larger and larger proportion of the UK population stare headlong into the financial abyss we are seeing more and more people downgraded by various credit reference agencies making it more difficult to access credit in the future... read more.. Improve your terms by threatening to leave! In many countries around the world bartering is a way of everyday life where everything has its price and services can be negotiated. However, in the UK many people seem wary or scared of trying to improve the terms of an agreement or the cost of an item or service... read more..